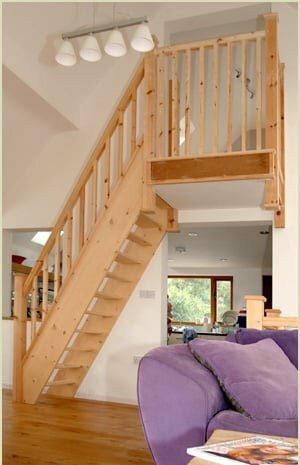 Pear Stairs has a wide range of loft stairs, space saver stairs and space saver stair parts available. 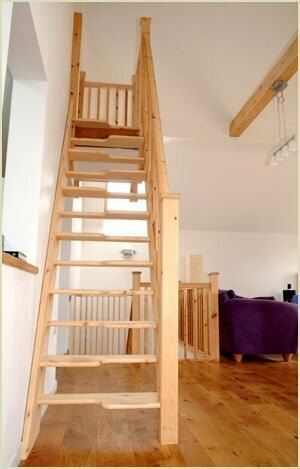 As one of the leading UK manufacturers of stairs and stair parts you can be assured that we have a range of loft stairs that will meet any requirement. Please visit our online shop to find out more, or call us on 01938 553311 where we'll be happy to discuss your requirements. 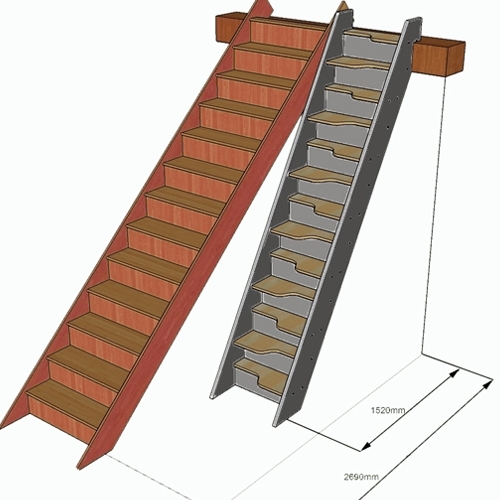 Space saver loft staircases are also known as paddle stairs or alternating tread staircases. This type of stair is one of a number of stair types designed to save space. 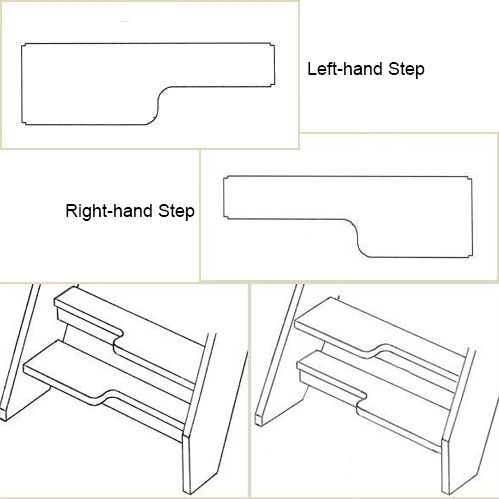 The general pattern of steps has alternate handed steps with part of the tread cut away. 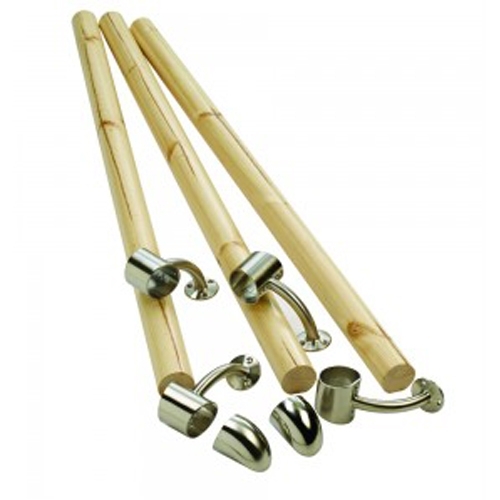 The user relies on familiarity and regular use for reasonable safety. Space savers should only be installed in one or more straight flights for a loft conversion and then only when there is not enough space to accommodate a standard staircase. This means that if you need to change the direction a landing must be used. Winder treads are not permissible. 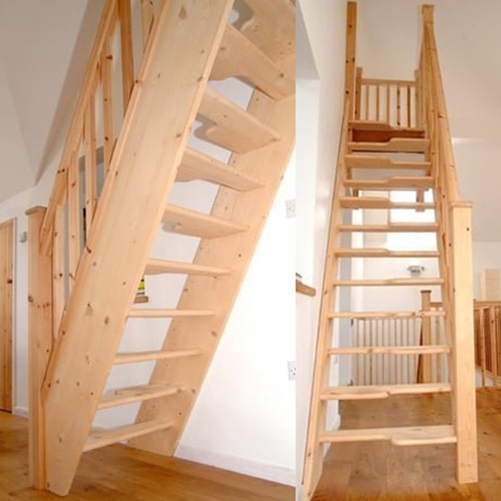 A space saver staircase must not be used as the main staircase in your dwelling. 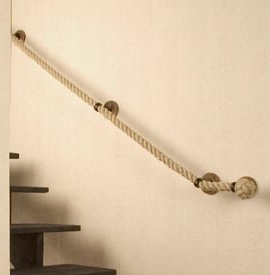 If the angle of incidence is greater than 42° then your staircase will not comply with Building Regulations, there are certain circumstances where a space saver staircase can be used. Building Regulations state "It should only be used for access to one habitable room". Unfortunately, there is much inconsistency between counties. Quite a few building control officers will only allow a space saver staircase if the room is non-habitable i.e. access to a boiler or storage only. Please check with each building control officer you use. Pear Stairs recommend that space saver treads are made from a durable type of material. The stresses and strains on these steep staircases require a thick strong tread in order to avoid the tread splitting. 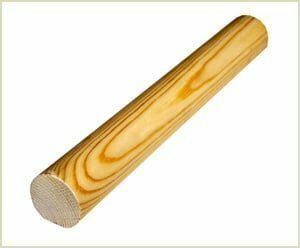 You should not use pine as the tread material. A minimum tread thickness of 32mm is advised. 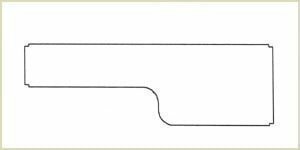 Each tread shape is as follows, depending on the staircase width. Some customers find walking up these stairs very strange and prefer either a left foot start or a right foot start. Please inform us if you have a preference. It is better if the staircase has a handrail on both sides and the treads should have slip-resistant surfaces. It is very important to have a strong handrail when climbing these staircases. You should never install one of these staircases without a handrail otherwise an accident may occur. Pear Stairs is able to assist you with any space saver stairs and staircase regulation questions you have, please do not hesitate to contact us, we are a very friendly company. Phone Pear Stairs on 01938 553 311. 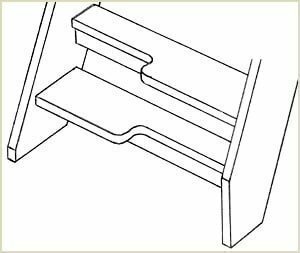 Pear Stairs has a wide range of space saver stairs and space saver stair parts available. As one of the leading UK manufacturers of stairs and stair parts you can be assured that we have a range of space saver stairs that will meet any requirement. Please visit our online shop to find out more, or call us on 01938 553311 where we'll be happy to discuss your requirements. 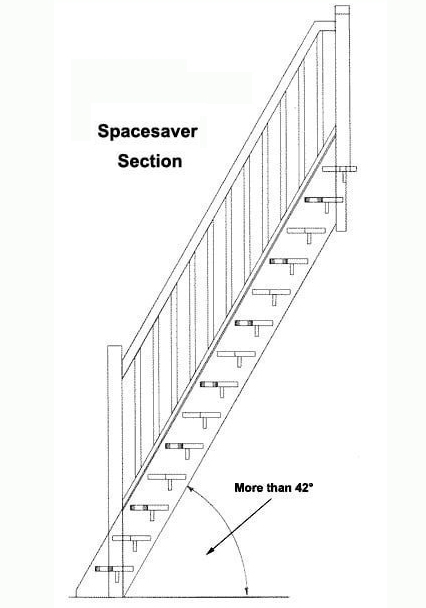 What Are Space Saver Stairs and How Do They Work? 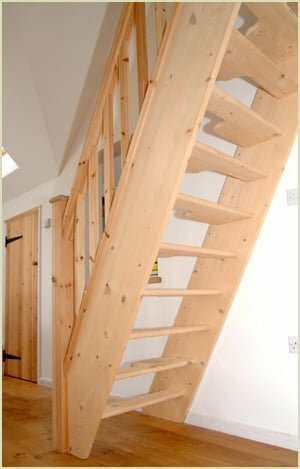 A space saver staircase must not be used as the main staircase in your dwelling. 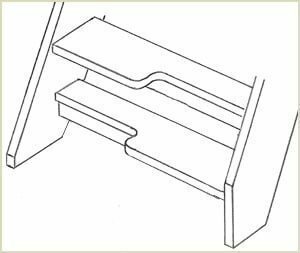 If the angle of incidence is greater than 42° then your staircase will not comply with Building Regulations, there are certain circumstances where a space saver staircase can be used. Building Regulations state "It should only be used for access to one habitable room". Unfortunately, there is much inconsistency between counties. Quite a few building control officers will only allow a space saver staircase if the room is non-habitable i.e. access to a boiler or storage only. Please check with each building control officer you use. 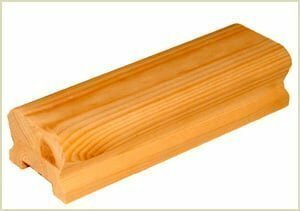 Pear Stairs recommend that space saver loft stair treads are made from a durable type of material. The stresses and strains on these steep staircases require a thick strong tread in order to avoid the tread splitting. You should not use pine as the tread material. A minimum tread thickness of 32mm is advised. Each tread shape alternates between left and right and is specifically made to fit the shape and size of the staircase. 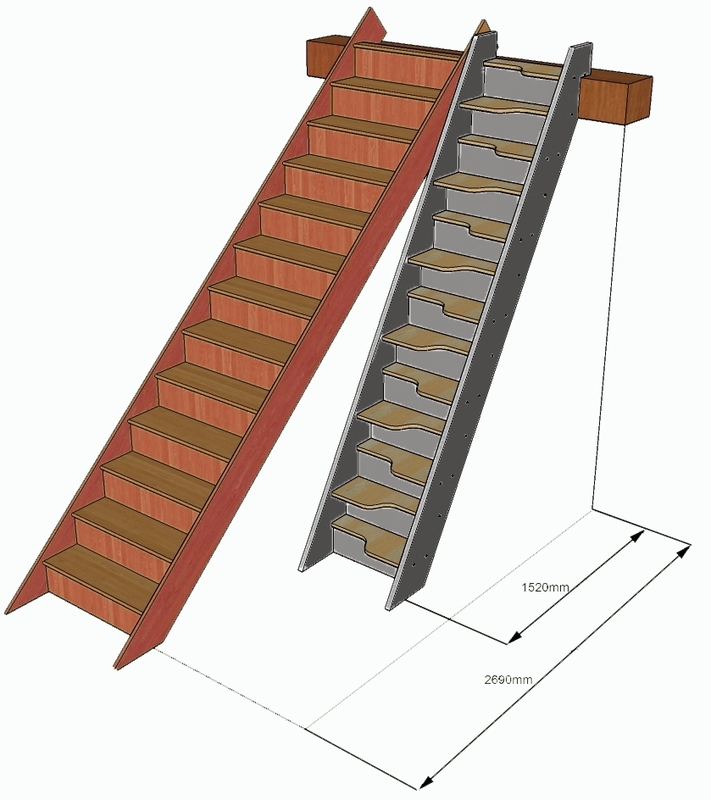 Space saver loft staircases are also known as paddle stairs or alternating tread staircases. This type of stair is one of a number of stair types designed to save space. 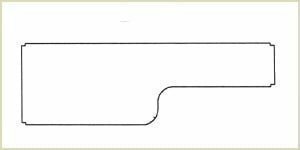 The general pattern of steps has alternate handed steps with part of the tread cut away. The user relies on familiarity and regular use for reasonable safety. Space savers should only be installed in one or more straight flights for a loft conversion and then only when there is not enough space to accommodate a standard staircase. This means that if you need to change the direction a landing must be used. Winder treads are not permissible. 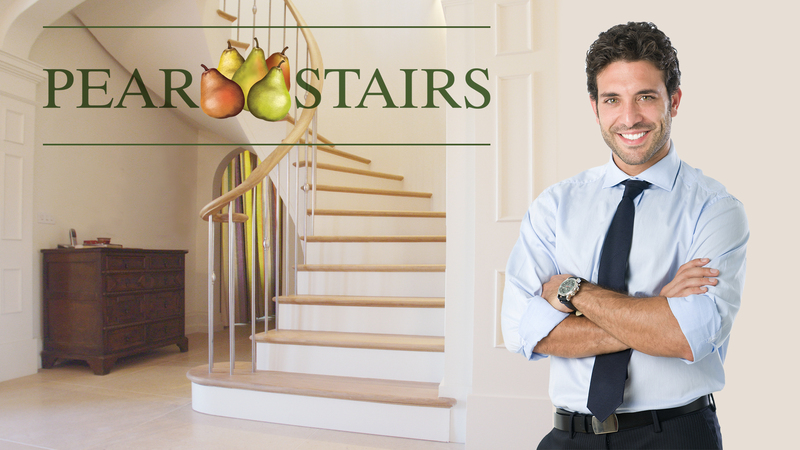 PEAR STAIRS, BRINGING QUALITY STAIRCASE DESIGN TO THE HEART OF YOUR HOME. 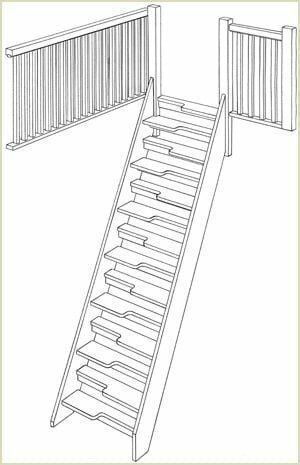 Due to the steeper angle of loft stairs, it is better if the staircase has a handrail on both sides and the treads should have slip-resistant surfaces. It is very important to have a strong handrail when climbing these staircases.